This year we’re featuring a handful of “Buy-A-Seat” opportunities. Ranging from an exclusive dinners (12 Roses) to dinner and intimate concert with Broadway superstar Ramin Karimloo, these intimate events create amazing experiences, foster new friendships, and support the Frankie Lemmon school! Reserve your seat now! Join Martina McBride here in Raleigh on August 17, 2019 for a one-of-a-kind evening. Martina will play co-host with our very own Brian McHenry and Eliza Kraft Olander in their home in Raleigh and set you up for a meal that’s out of this world. While Martina and Eliza preside over great conversation and great wine, Scott Crawford, the James Beard semifinalist behind Crawford & Son restaurant, will be in the kitchen. You can expect an otherworldly meal, as Scott takes fresh local ingredients and gives them his elevated twist on classic comforting dishes. And he just happened to have recently won Restaurant of the Year for the Triangle! As an added incentive Antonio Galloni, esteemed wine critic, is once again headed to Raleigh — this time with Martina — to dazzle us with his infinite wine knowledge and charming old-world personality. Of course, the wine will be flowing! Brian and Eliza will be your acting sommeliers, pulling some of their favorite bottles from their cellar to pair exquisitely with Scott’s food! Have you ever wondered what it would be like to hang with the band? Well here’s your chance to have dinner with them! Ramin Karimloo and Joe Kwon will be doing at show at King’s (above Garland) in Raleigh and you can join them for the concert AND for dinner beforehand at Garland. Cheetie Kumar, Raleigh’s very own James Beard nominated friend-in-food is opening her doors to wine and dine you before Ramin and Joe perform their private concert. Dinner at Garland followed by a concert with Ramin and Joe. Donated By Ramin Karimloo, Joe Kwon and Cheetie Kumar. Ramin Karimloo played the leading male roles in both of the West End’s longest running musicals: the Phantom and Raoul, Vicomte de Chagny in The Phantom of the Opera, and Jean Valjean, Enjolras, and Marius Pontmercy in Les Misérables. He made his Broadway debut as Jean Valjean in the 2014 revival production of Les Misérables, for which he received a Tony Award for Best Actor in a Musical nomination. Joined by our own local musical talent and friend of Frankie Lemmon, Joe Kwon of the Avett Brothers, he will put on a performance that blends Broadway classics and bluegrass, blues and rock. This event will take place at King’s (above Garland). Snap Pea Creative Dining, owned and operated by Chef Jacob Boehm runs one of the most WILDLY CREATIVE concept dinners, in SURPRISING LOCATIONS . Each 8- to 9-course dinner is carefully crafted to surprise and delight, from the surprise location to the concept menu. What is the date for this dinner? : Friday, April 26, 2019 in Raleigh. Who is the winemaker going to be? SUPER SECRET. Where will this dinner take place? THAT’S A SECRET AS WELL. Net proceeds of this auction lot benefit the Triangle Down Syndrome Network. Donated By Jacob Boehm, Maria Sinskey. Dinner at Todd + Lisa McGowan’s home (ITB) on Wednesday, November 6, 2019 with Charles Philipponnat from Champagne Philipponnat. We will explore the entire range of Philipponnat champagne including the iconic Clos de Goisses. To top it off, chef Matt Kelly will be preparing amazing dishes to pair with the Champagne. 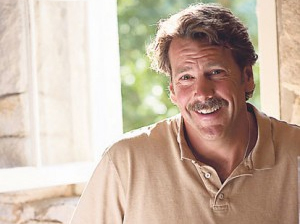 Chris Carpenter, winemaker for Jackson Family Wines’ esteemed Lokoya, Cardinale, Mt. Brave, La Jota and Hickinbotham labels, is coming to Raleigh! The chef for the evening will be none other than Ashley Christensen of Death & Taxes, Poole’s Diner, Beasley’s Chicken and Honey, Chuck’s and Fox Liquor Bar. You can expect an otherworldly meal, as Ashley takes fesh ingredients and gives them her elevated twist on classic comforting dishes. This magical evening will take place on Sunday, April 28 at the home of Brian McHenry and Eliza Kraft Olander. Thursday, October 24th, 2019 will be the Swine-est day of your year at the newly restored Wakefield Barn! It’s back-the Piggy Party! What makes PiggyPalooza so fun? Well, of course, it starts with the food-Duskie Estes, The Queen of Pork and Food Network’s creator of Black Pig Bacon & Waffles, will be flying in from California to prepare the feast. Samad Hatchby, and Chef and owner of Mulino will bring cuisine to surprise and delight. Let’s not forget what makes the night meaningful-wine and tequila! We are bringing our “A Game” for this party: we’re talking the triumvirate-Michael Browne of CIRQ, Guy and Judy Davis of Davis Family Vineyards and Steve Reynolds of Reynolds Family Winery. The tequila will be from Steve’s new and highly allocated tequila brand, Penta. Donated By – Courtesy of the above named chefs, winemakers and wineries that love the Frankie Lemmon School. Our very own Joe Kwon, Cheetie Kumar and Vansana Nolintha will team up for this rice centric dinner that will blow your mind! No Uncle Ben’s at this dinner. It is a superstar lineup: Joe Kwon is a man of many talents – the virtuoso cellist of the Avett Brothers who moonlights as a Korean Masterchef; Cheetie Kumar, Raleigh’s very own James Beard nominated and owner of Garland. She and her husband, Paul, are rock stars in their own right: when they’re not running the restaurant, they’re playing shows with their band, Birds of Avalon. To complete the trio of chefs, you have Van Nolintha of Bida Manda and Brewery Bhavana. Donated By Joe Kwon, Cheetie Kumar and Vansana Nolintha. 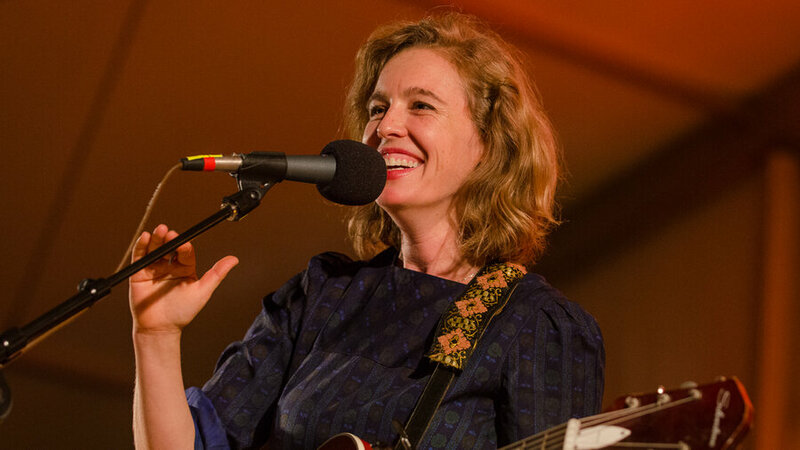 A super exclusive night, in an intimate setting with Tift Merritt. Enjoy a special evening as four of the tastemakers of Raleigh – Matt Fern of (ish) Delicatessen, Seth Hoffman of The Raleigh Wine Shop, Victor Lytvinenko of Raleigh Denim Workshop, and singer-songwriter Tift Merritt – come together to create an extraordinary and unique dining experience. This magnificent event will take place on Thursday, May 2, 2019. Buy your tickets to this intimate event TODAY! Donated By Seth Hoffman of The Raleigh Wine Shop; Matt Fern of (ish) Delicatessen; Victor Lytvinenko and Sarah Yarborough of Raleigh Denim Workshop; and Tift Merritt. Remember, part of your purchase is tax deductible. You will be sent an e-mail once your purchase is complete indicating what part of your purchase is tax deductible. If a Buy-A-Seat event is sold out, please call our office at 919-845-8880 to get on the waiting list.